Wedding photographs from upcoming KBS TV series "Marry Me, Mary," starring Korean stars Moon Geun-young and Jang Keun-suk, have been revealed. 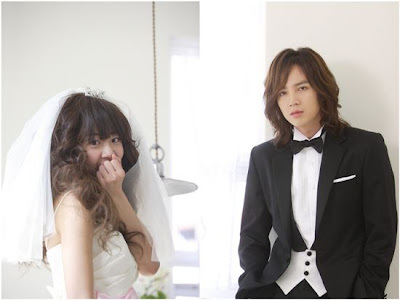 The show's promoter Ytree media on Friday released several pictures of the main character Mary (Moon) donning a short white wedding gown with a pink sash and Moo-kyul (Jang) wearing a black tuxedo. Earlier this week, Ytree unveiled a picture of Mary in her wedding attire placed between Moo-kyul and Jung-in (played by Kim Jae-wook). "I thought Mary (Moon) looked very pretty today (laugh) and I thought I looked pretty good as well. I had so much fun on set and I hope the audience will enjoy watching the show," Jang was quoted as saying. Based on the online comic by famed writer Won Soo-yeon, "Marry Me" is about Mary who makes realizations about love and herself while being in two fake marriages for 100 days to completely different men -- Moo-kyul and Jung-in. "Marry Me, Mary" will premiere on November 8 after current drama "SungKyunKwan Scandal," starring Park Yuchun finishes its run. She has neither aspiration nor emotion and her smile is sarcastic. Eun-jo is a girl who has apathy toward life. Her mother, who has been living as a single mother for 18 years, finally found the right person to marry and brought Eun-jo into the stepfather’s house. A decent house and a decent family…. Eun-jo feels that everything in this house does not fit for her. The most unbearable thing she faces is the stepsister Hyo-sun, who is the apple of her father’s eyes and beloved by everyone in the house. Hyo-sun also takes away the mind of Eun-jo’s mother, just like her bright and untainted character attracted all the other people. Eun-jo cannot tolerate this situation, since she lost the only one that she completely owned. Actor Han Hyo Joo sang her own song passionately when she appeared on the episode of “Yu Huiyeol's Sketchbook” that will air on October 22. Han revealed that she liked to write and compose her own songs as her hobby. Top Korean stars Kim Tae-hee and Song Seung-hun have been cast in a new drama by the creator of popular MBC TV series "Pasta." The show's producer Curtain Call said Wednesday that Kim and Song will star in an upcoming show tentatively titled "My Princess" by director Kwon Suk-jang. "My Princess," a love story between a regular female college student and a conglomerate, is set to premiere on MBC early next year. Kim will be playing the role of a college student whereas Song will take on the role of a conglomerate. Kim rose to fame after appearing in the SBS TV series "Stairway to Heaven" in 2003 alongside Hallyu stars Kwon Sang-woo and Choi Ji-woo and has since starred in several dramas and movies. 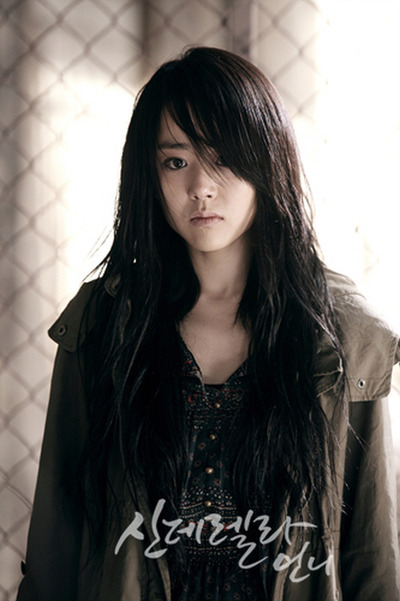 Her most notable roles were in last year's blockbuster hit drama "IRIS" opposite Lee Byung-hun. 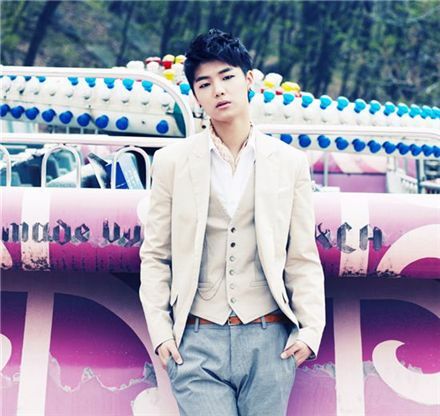 Song is one of the most popular stars in the Asian region for his roles in smash-hit series "Autumn Tale," "Summer Scent" and "East of Eden." He recently starred in "The Invincibles," a Korean remake of the Hong Kong classic "A Better Tomorrow," with Joo Jin-mo, Kim Kang-woo and Jo Han-sun.